Yearly production of oil in East Texas Oilfield in relation to the cumulative production. The largest oilfield in the USA south of Canada is said to be the East Texas Oilfield. (The largest oilfield in the USA is Prudho Bay in Alaska).Since I began my research on oil in 2003 my mental image of the East Texas Oilfield has been the graph of production from that field that Jean Laherrère used to present and update every year. The latest version is updated for 2012. We see that production reached a maximum in 1933 and then declined until the 1960s when they began to pump water into the field to raise its pressure. Production then increased for some years before beginning to decline once again. Since the middle of the 1990s production has crashed. Up until 2012 a total of 31,241 wells had been drilled into the field and in its heyday a maximum of 26,000 were producing oil. For 2006 there is information available that a little over 4,000 wells were in production and now, presumably, fewer still. The cumulative production during 82 years is given as 5.4 billion barrels. Jean tells that it is difficult to get hold of today’s production data from the East Texas Oilfield. The most recent data point from 2009 is from the Energy Information Administration that presented data for the USA’s one hundred largest oilfields. If the field produces some millions of barrels per year this is only a drop in the bucket compared with the 6,773 million barrels of oil that the USA consumed in 2012 (BP Statistical Review of World Energy). Today’s production from the old wells in the East Texas Oilfield can be regarded as “museum activity”. It is a tourist attraction to see the old pumps standing there nodding up and down. During the weekend (November 16-17) we visited the East Texas Oilfield and Jean’s graph has now been complemented with a number of images of the reality. On Saturday after lunch we arrived in Kilgore and immediately visited the museum there describing the history of the East Texas Oilfield. The field was discovered on 5 October 1930 and the museum has many interesting photographs from that time. 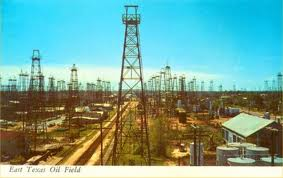 After the discovery of oil, in only a few days the population of Kilgore increased tenfold making it a so-called “boom town”. At the start they did not realize that East Texas was a giant oilfield but when they made widely spread finds at the same depth their understanding of the field began to clarify. According to Jean far too many wells were drilled into the field and when one views the field from above ground (see photo) one can see that he is correct. I will not repeat the information on the East Texas Oilfield that can be found at the museum website but will direct you to it instead if you are interested: . 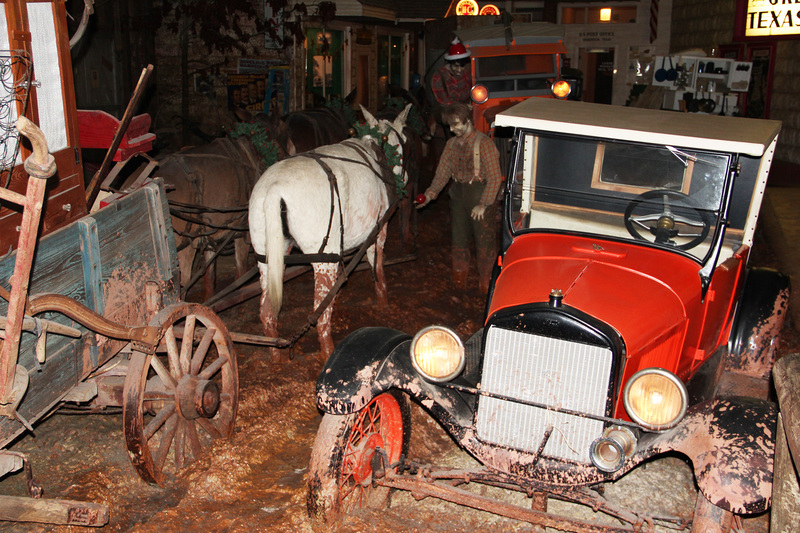 (East Texas Oil Museum/). 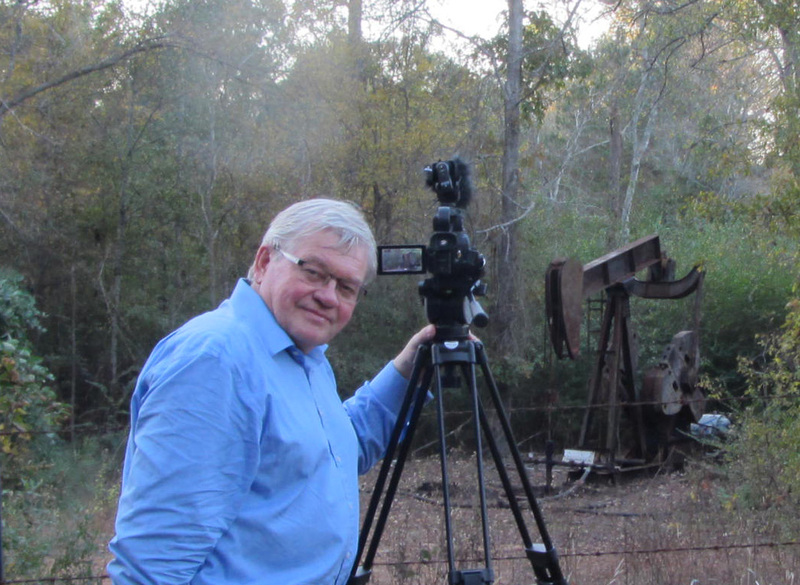 The main aim of our visit was to film suitable environments for the documentary film I am making on oil in Texas. We were very successful with that. Here I will show only some of the images that I captured during the visit. First is the image of a map showing the extent of the oilfield. We can see that the USA’s second largest oilfield is nevertheless quite small in extent. Its average width is 8 km (5 miles) and its length is 72 km (45 miles). In comparison I can state that the world’s largest crude oil field, Ghawar in Saudi Arabia, is 26 km wide and 280 km long. Note that Austin and Dallas can be found on the map’s western side. During WWII it was oil from the East Texas Oilfield that supplied the Allied armies with fuel. The oil was initially transported by boat but the German U-boats forced the USA to build a pipeline, the Big Inch, from Longview in the field’s northeast corner to New York and Pennsylvania. From the historical images shown in the Museum I have chosen a street image from Kilgore from the 1930s. 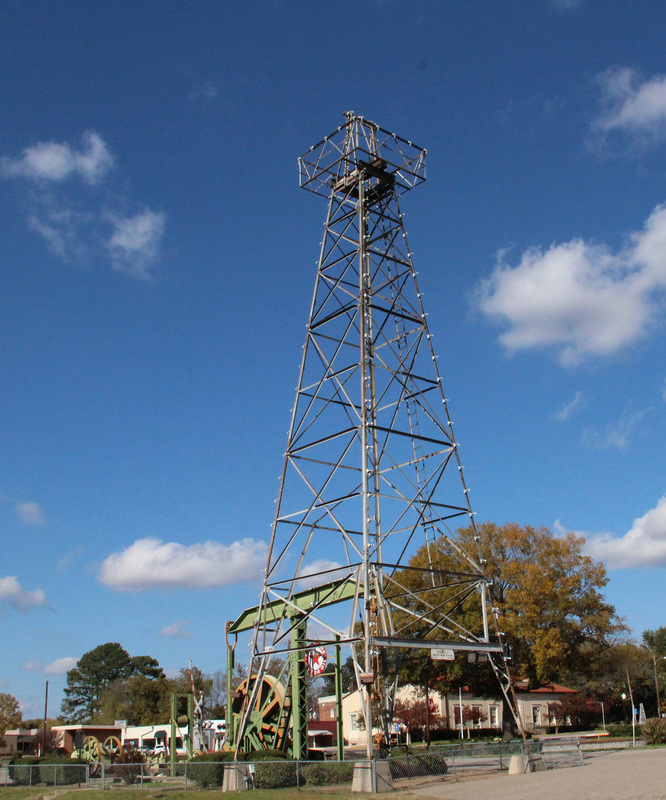 As a memorial to the oil era in Kilgore they have moved a number of drilling towers so that they line the street near the railway. Every tower now has a Star of Texas at its top and in a number of days these will be illuminated for the Christmas season. 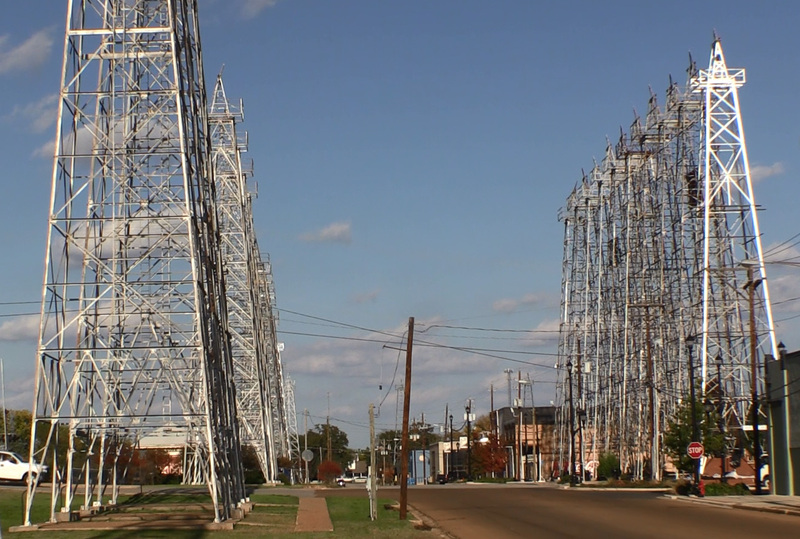 On Sunday we travelled on Road 135 from Kilgore to Gladewater, the East Texas Field’s second boom town. 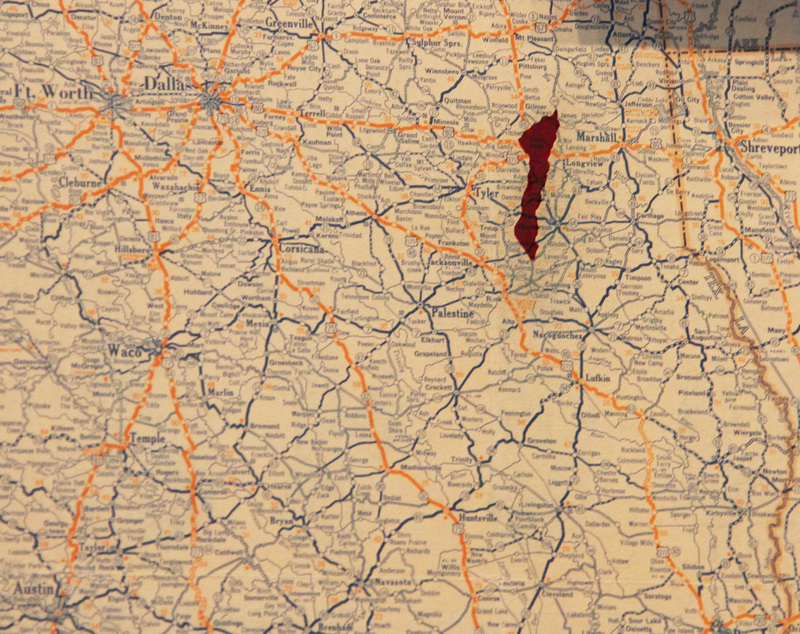 In the beginning of 1931 Gladewater had around 500 inhabitants. On 7 April 1931 a little more than 1,000 metres (1 mile) from the centre of town they experienced a “well blow in “ (they found oil) and the oil flowed at 1,000 barrels per hour. In next to no time the population of the town grew to around 8,000. It was now obvious that Texas had an oilfield that was gigantic. Today there is equipment from “discover well Snavely #1” mounted centrally in Gladewater. Texaco, that was the operator of the well, ended production on 30 November 1957, i.e. 26 years after oil was discovered. Today Gladewater is most well known as the main destination for antique dealers in eastern Texas, 22 shops. Obviously, I could not resist buying the original sign for the oil well G.W. CHERRY WELL NO. 1 that one’s was owned by Texaco. The road back to Kilgore was Road 42 and at regular intervals along that road were stationary or still-in-production oil wells. At one place where we stopped there were 8 pumps. Here is how the spot looks when viewed via Google Map. 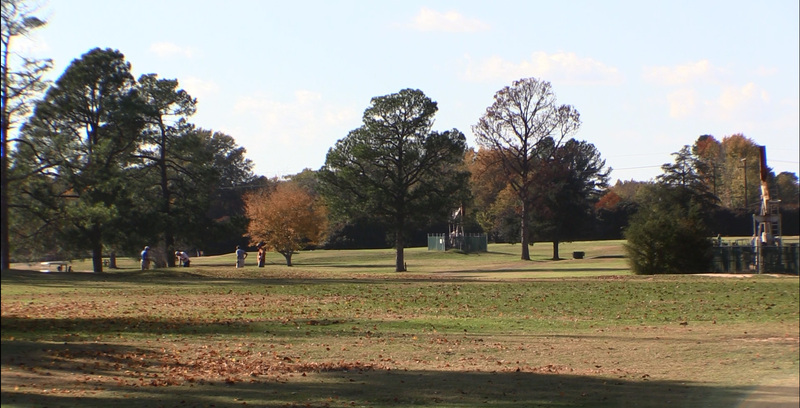 The fact that there are several oil pumps on Longview’s golf course shows how integrated oil has become into the life of the area. 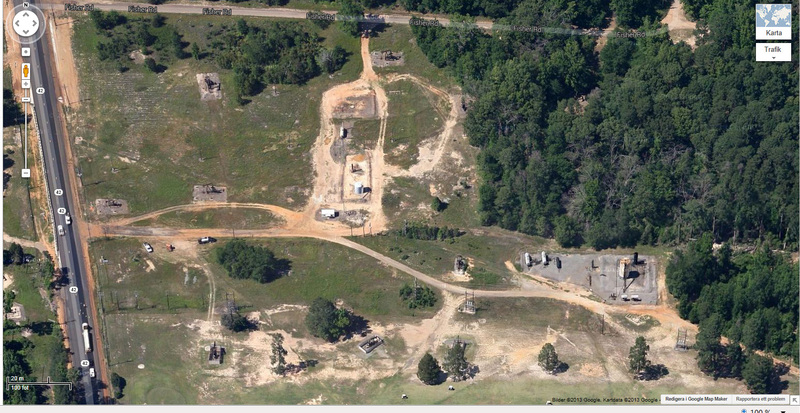 Here is an image of the golf course and, from Google Map, where I was standing to take it. 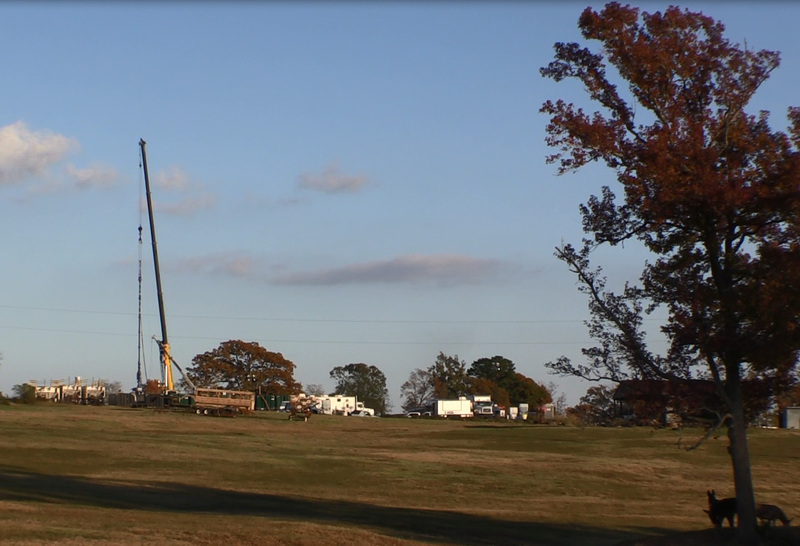 Back in Kilgore we filmed the “Christmas Tree Park” that has been constructed. Soon the Christmas and New Year’s greetings will be illuminated. 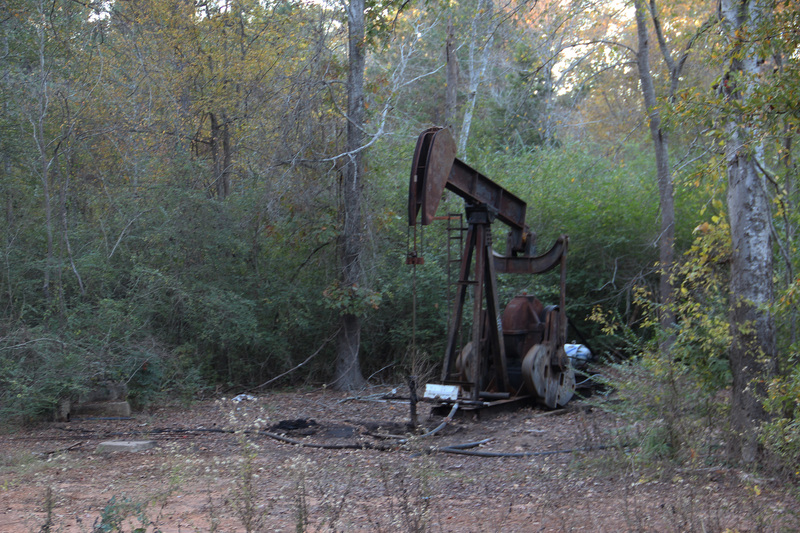 The final goal of the journey was to find the well that first discovered the East Texas Oilfield. At the museum they said that, after 83 years, it was still producing 2 barrels per day (a little more than 300 litres). We found the well and, quite rightly, there was an old rusty pump there that was still producing oil. What we can learn from the East Texas Oilfield is that, once again, we see oil is a finite resource. It was a little difficult to comprehend that the area we drove through had possessed, at one time, 26,000 producing wells. 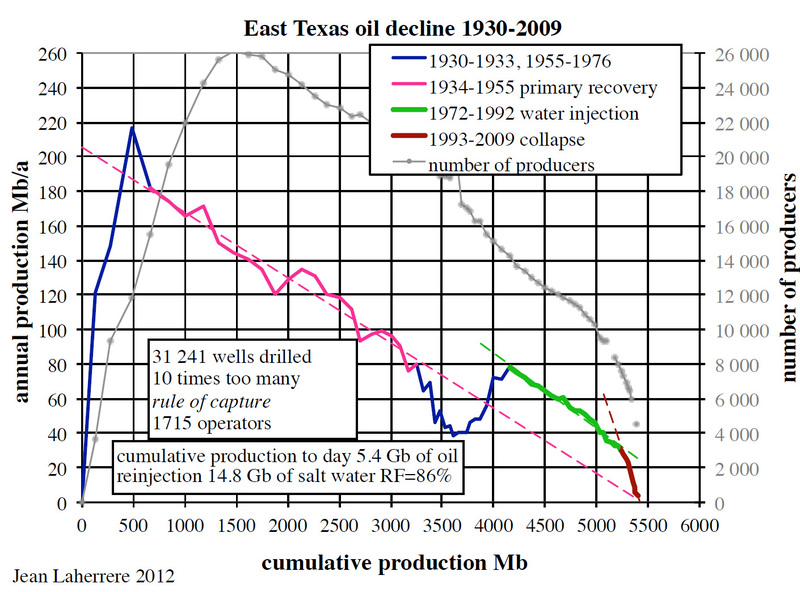 If we study the graph that Jean made (see the first image) we see that the East Texas Oilfield reached maximal production quite early and then declined. Techniques like water injection mean that production can increase for a limited time before the decline continues. We can also see that water injection, in reality, does not give a greater amount of total production than initially predicted from the declining trend seen pre-water injection. It only accelerated the production a little. Before we travelled back to Austin I discovered that they were fracking in the area and that means that we will, once again see an increase in production from the field. How great the increase will be remains to be seen but one thing is certain and that is that production from the new wells will decline very rapidly.